Computer learning at St. Andre’s is rapidly becoming a reality for the students thanks to the leadership and vision of Pere Noe Bernier. We presently have 20 Dell D810 laptops with the Linux Mint operating system available for teaching grades 6 to 13 during morning class time. We also have 18 One Laptop Per Child (OLPC) XO 1.0 computers for the lower grades which are used during the afternoon. According to a visit in January by our partners, UnleashKids, the laptops are being used vigorously. 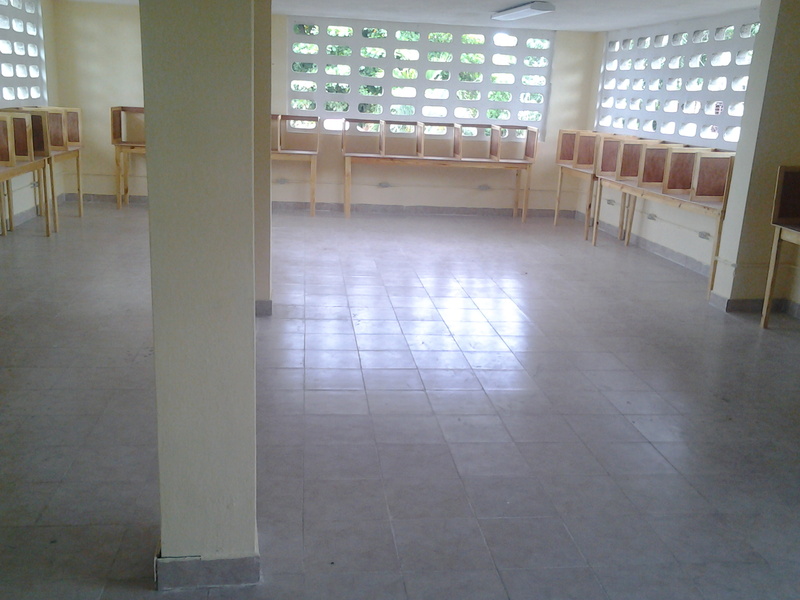 The classroom is designed for 50 computers and 50 students, and the electrical circuits and receptacles are in place to support the load. Our current goal is to acquire and maintain enough laptops so that regardless of grade level there will be one laptop per child during hour-long class instruction sessions. 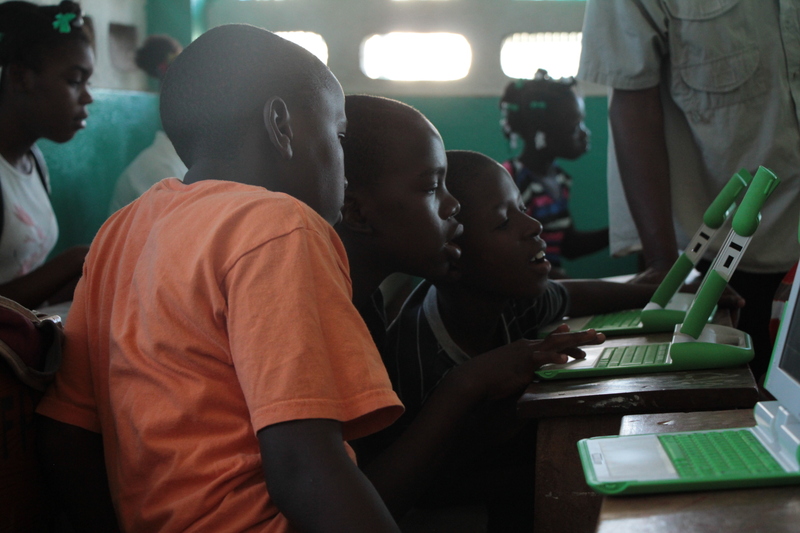 Among our current priorities is understanding the wealth of learning opportunities provided by the combination of XO laptops with HaitiOS, Linux Mint laptops with additional software, our XO SchoolServer, and Internet-In-a-Box. Where possible, we are partnering with experts on the ground in Haiti to train teachers in pedagogy of these technologies. Pere Noe Bernier has assembled the team of teachers for training and has selected a team of students, who will act as technical support. Part of Pere Noe Bernier’s plan is to create programs in various trades for students to develop technical skills for employment. The students, who are part of the computer technical support team, will have experience supporting what we hope will be at least 100 laptops and several servers by the time they graduate. With Haiti’s modernization we feel that the students with a solid education, including speaking Kreyol, French and English, plus several years of computer network support experience will be in demand in Haiti.